What forms the most influential technique to connect with your customers is, social media presence. The power of social media lies in the fact that you are reaching where your users are. Social Media will make you visible to your target audience wherever they go, and help you expand your business’s reach online. Engage with your clients on the social media platforms and gradually cultivate long-lasting relationships with them over such mediums. Social Media Marketing makes sure that you are accessible to your users by engaging with them on a casual, yet a professional and powerful medium. Raise Your Reliability iBizbe Agency’s social media experts will help you maintain a constant presence online and stay in touch with your target audience from time to time. 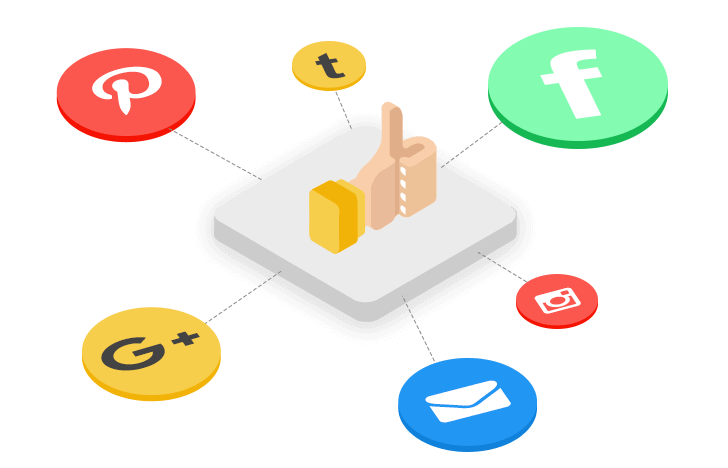 We at iBizbe Agency will analyze and devise social media strategies as per your predefined or newly set target audience and work on all the platforms accordingly. We’ll keep your audience and clients up-to-date on all the happenings at your organization, effectually helping you spread your marketing tactics. Social Media Marketing requires constant updates and posts from your end to make you look credible. Don’t worry! We’ll ensure that your social media platforms are continually updated with relevant information. iBizbe will create and manage an audience-driven and visual social media marketing strategy, such that you become the preferred choice of your target audience in the industry. We will ensure that none of your social media posts or pages are termed as spam by following the discipline of social media marketing and giving out genuine and effective posts. Be Accessible To Your Users Through Social Media Have A Cool Idea In Mind? Let’s get in touch! Digital Marketing is the art of becoming knowable, likable and trusting. Stand out from your competitors in the industry with one-of-a-kind and vigorous marketing strategies. Reach to the right audience, at the right time, with the right solution; and there; your job is done! Remind your users about your products and services, and increase your online presence on the web through the power of solicited and compelling emails. Giving timely responses to the reviews you get is imperative as you try to maintain a balance between positive and negative image of your brand and let your users be aware of your brand’s services. Letting everyone know about your business’s credibility and reliability comes next in line, that is, your branding strategy. Where to advertise, what to show, how to present, when to do it and what exactly to advertise; all of it will forms a part of your branding strategy.